Purple Lotus Therapeutic Massage & Esthetics in St Albert. 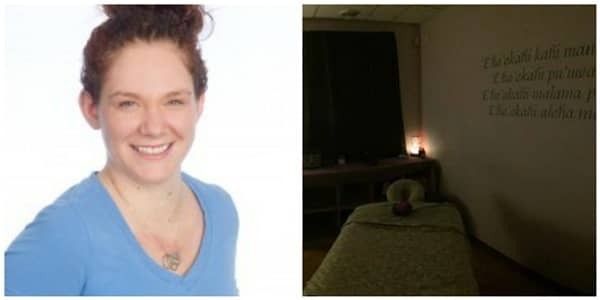 She and her team of RMTs and estheticians, which includes a fellow MH Vicars grad, refer to Purple Lotus as a “splinic”: it’s not just a spa, and not just a clinic! 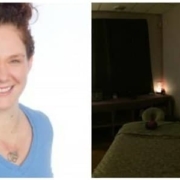 Kirsty travelled to Hawaii for further training after graduating from Vicars, and now specializes in Hawaiian Lomi Lomi massage. I love helping people. I love that a healing touch can do so much for someone. What has been your biggest challenge as an RMT? Not knowing when to say “No!”. I do not like to say no to clients and often come in to work even when I am not working, and as a result I overwork myself. I need to learn to say no! The other RMTs I work with and I swap massages. I also go to physio and chiro when need be. I work out and swim to try and stay fit! In 2015, I won the Young Entrepreneur Award at the St Albert Small Business Awards of Distinction. (You can read about Kirsty’s award here!). What advice do you have for people interested in a career in massage? If you have a passion for people and helping others, do it! Take the plunge into massage. School will not always be easy: there will be tears and moments of frustration. But it is all worth it; every bit of it. Seeing the way you affect someone’s life is the most rewarding feeling you will ever have. To learn more about Purple Lotus and to book an appointment, please visit their website.